The comments came in a Monday taping of a podcast with President Barack Obama’s former aide, David Axelrod, at the University of Chicago. 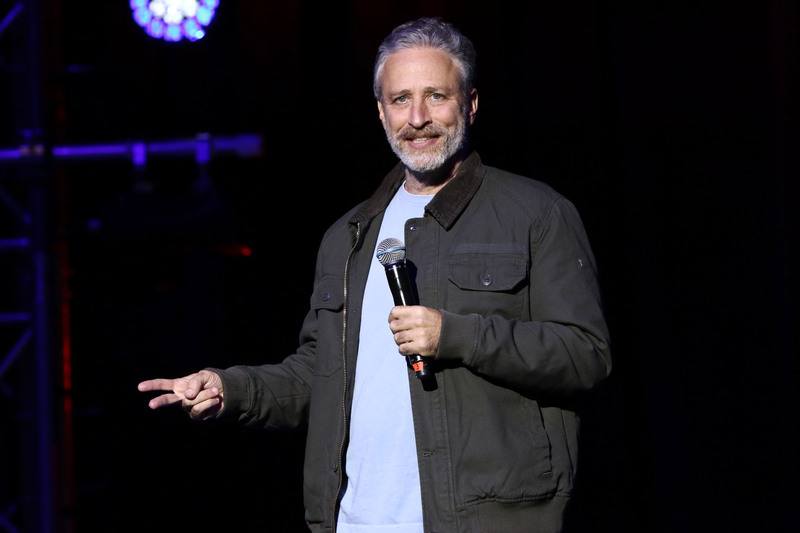 Stewart joked that Trump has the “physical countenance of a man and a baby’s temperament and hands,” adding that as a “man-baby,” he isn’t sure Trump is eligible to run for president. The left is going to try and pullout all the stops, anything and everything they can to try and stop trump, they'll bring back old washed up comedians etc..... The comedy crew won't work against Trump like it did Romney, for the simple fact that Trump couldn't care less how they mock him and Romney let it get to him. McCain was the same he had to respond in a defensive manner because he needed and wanted to be admired by all! The thing the left doesn't get about Trump is the people admire him because he doesn't care! The Trum Train is barreling down the tracks at warp speed and the left is putting traffic cones at the cross sections! "The thing the left doesn't get about Trump is the people admire him because he doesn't care!" And, one of the many things that individuals such as you don't get is that the KKK, Neo Nazis, and every White Supremacy hate group imaginable backs Trump fully, regardless of how much he disavows them or not. That's a fact, not an opinion. And, I don't have to remind anyone what such detestable hate groups think of Jews. Are you certain you wish to align with such 'monsters'? “ "The thing the left doesn't get about Trump is the people admire him because he doesn't care!" You make a good point. Burt most of these guys won't get it...they're bigotry, you see, is holy and correct. Unfortunately, religious zealousness can be like a f-rt - everyone thinks that theirs never smells! "Burt most of these guys won't get it...they're bigotry, you see, is holy and correct." Yes, as I've posted several times, racism is encouraged at the שבת טיש, diligently taught in ישיבה, and drunk a לחיים to at קידושא רבה. And, the מנהיגי הדור, not surprisingly, seem silent about it although racism historically has never turned out well for אידין. “ "Burt most of these guys won't get it...they're bigotry, you see, is holy and correct." Be careful not to overstate the point. I am and dress frum, daven with a minyan generally three times a day, have learning seder, and am a Partners in Torah mentor...racism challenged and fought, at my Shabbos table and in my home...as well as in the homes of many of my friends. There is sad social baggage aplenty in today's frume velt, especially in the larger NYC orbit...but that does not justify rejecting or railing against Torah.